Looking for a thorough Building and Pest Inspection Company? Customers tell us one of the most daunting feelings of buying a house is fear of the unknown. Certified Home Inspections is here to help take that feeling away by completing a thorough Building and Pest Inspection. Once you call through we look after everything even organising the appointment time with the Real Estate Agent or Tenant. which includes a Thermal Imaging Camera. The Australian Standards state that a visual inspection is all that is required by the Industry. At Certified Home Inspections we want to look further and have invested heavily in Advanced Equipment. We invite all customers to attend the Home inspection so our guys can walk you through the findings at the end. In fact All our Building and Pest Inspection teams are made up of one Master Builder and one Timber Pest Inspector. They are both Certified for Pre Purchase Building and Pest Inspections. The classic "Two heads are better than one" saying has never been more true. Our Twin Home Inspectors go through the property in different directions and tip each other off to areas of concern. In fact We have invested a lot of money to make our Pre Purchase Property Inspections completely paperless. This speeds up efficiency (In the office and out in the field) which means we can get the reports to you a lot faster. The secret is in our digital Building and Pest Inspection report which is completed onsite and includes photos of all the areas of concern. Each Inspection Report is then quickly sent back to the office where they are quality control checked and then sent off to you. We say "same day" reports but it's more like a four hour turn around. This really is an advantage especially when you find a last minute auction and need everything fast. We are the home inspection company to go to. Gardens, retaining walls (non structural), paving and fence lines (all within 50 metres of the house). What Do We look For During A Building And Pest Inspection? Do The Building Inspections Cover Asbestos? Also We are not licensed Asbestos Inspectors. And cannot give you a definitive answer if a panel or building material is made up of Asbestos During your Building Pest Inspection, if the Building Inspector sees what they believe is damaged or dangerous asbestos material. He will recommend the services of a professional Asbestos Company to inspect the area of concern. Also There are certain characteristics for qld dwellings that will give us an indication on if building materials will be made up Asbestos. These are things like age of the property, building type and suburb it is in. What if Termites are found During the Building and Pest Inspection? When we find Active Termites. We can arrange a fast onsite quote to treat the Termites and to further protect the house with a Termite Barrier. To get the best results we highly recommend not to disturb the termites. 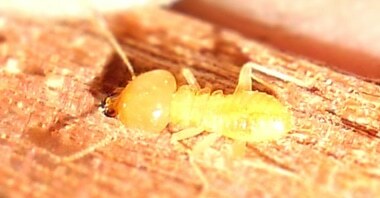 The Termite Treatment is quite simple provided we get good access to the active termites. We use a chemical called Termidor which is safe for family and pets. It has a unique transfer effect where the termites pass it onto one another through communication and grooming. Because they can’t detect it, the termites are not aware of ingesting the product when they eat. They go about their activities and will still be killed by contact with Termidor even when they are not feeding. All our Termite Treatments are backed with warranties. So you have peace of mind knowing we are doing the job properly. From there you can further protect the property with a Termite Barrier. This all depends on the construction type, dampness of the soil and gardens/plants which surround the house. In fact Not all homes need a barrier and our Pest Inspector can explain how you rate of the Termite Risk Factor. Smoke Alarms and Fire Safety is extremely important.In fact Legislation for Smoke Alarms has changed from January 1, 2017. Furthermore It is important to note that your Building and Pest Inspection does not cover smoke alarms as it is outside of the Australian Standards for Pre Purchase Inspections. to get More information about the legislation changes and your obligations can be found here Queensland Fire and Emergency Services Website. 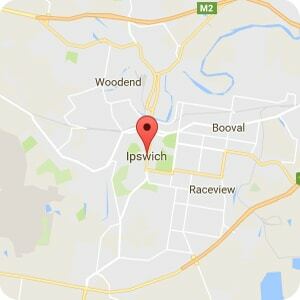 The Service area we cover for Pre-Purchase Building and Pest Inspections is brisbane, ipswich, the gold coast and their surrounding areas. Furthermore if you are buying a house or selling one and need an honest and thorough Building and Pest Inspection. Then think of Certified Home Inspections. Simply fill in our Fast Quote Form or Live Chat one of our team by pressing on the "Contact Us!" at the bottom of the screen. Or you can call Vicki or lauren on 32008586 and they can talk you through the whole process.